Have you noticed how relentless motherhood can be? If you are a mom, I am sure that you have, because it starts just a few weeks after conception. The middle of the night trips to the bathroom, the incessant eating…just small ways that you are being shown that your life/body is no longer just “yours”. Neither is your time, or sleeping patterns. In one simple day, everything that was once yours is no longer. And then the journey of motherhood begins. A time of losing ones self and finding her again. Of wanting a break so desperately and yet not wanting to miss a moment. This is a sponsored conversation written by me on behalf of AZO. The opinions and text are all mine. Motherhood is hard y’all. And it never stops. It’s hard to give up your life every day for some one else’s. It’s hard to love some one so relentlessly, more than you ever thought possible. It’s not easy to be patient, to run on no sleep and still answer 437 questions each day and select the right sippy cups or pack the proper lunches. Kids are hard and family is difficult yet beautiful. But moms, we need a break too. There are times, stolen moments throughout the day when we breathe a little, but all too often I see us pretending like that’s enough. That 10 minutes in the shower while a tv show plays for the kids is sufficient care for ones self. Enough time spent alone. You hear moms talk about “Needing to take care of yourself so that you can care for others”… and I hear ya, I really do, but I still think this is off. Mama, take care of you, because you are worth caring for. I spend a lot of time here encouraging you that you are a good mom, and even I’m guilty of forgetting to say that you are good because you are you too. Motherhood and all the other tasks and assignments you may have throughout your life. They are a piece of you, but not fully you. No one word can define you and the reasons for caring for yourself and giving yourself room to breathe goes so far beyond giving you the ability to carry out more tasks for others, however wonderful and meaningful those tasks may be. Along those lines… here are some things you can do to take care of yourself, every single week. Start journaling – I know, you’re probably thinking you don’t have time for it. But moments of self reflection can do a lot to relieve feelings of stress. You don’t even have to be long winded. Try writing just one sentence each day about your day, and see how you become more mindful when you do. Embrace a hobby – It could be something as simple as the new adult coloring craze, but make sure you are doing something every week (Every day if you can help it), that’s just for you. It’s not a task that must be done and it’s not done to benefit any one else. Just something you find fun. 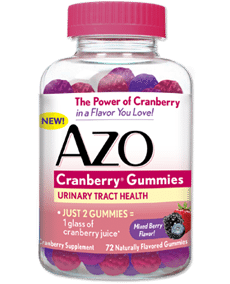 Take AZO cranberry gummies – Yes, really! They are little (yummy) gummies that you can take for bladder and urinary tract maintenance to keep your tract healthy. Two gummies have as much cranberry in them as an entire glass of cranberry juice! It’s a great way to address urinary tract maintenance without having to leave your home. Take care of you mama! You can even get a free sample by clicking the image below! Taking care of your body is one of the most important ways for you to take care of yourself. Simple steps like this can help you do just that. Taking a day off – yep, I said it! Every one needs a day off from time to time. If you can find a way to get some one else to watch the kids, even if it’s rare… having a day to yourself or just with your spouse is absolutely priceless. You’ll come home to your kids feeling so refreshed and ready to take on the world with them! 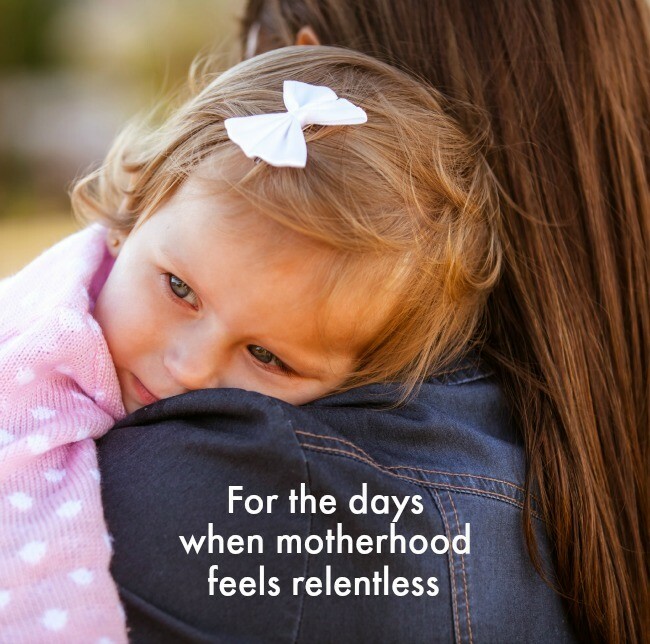 Motherhood is relentless…How do you take care of you throughout the week? Have you tried any of these tips? If you’re one of the first 500 people to click on this link, you’ll win an AZO sample! Otherwise, you’ll receive an AZO coupon. Remember supplies are limited, so go, go, go! Hey Buddy!, I found this information for you: "Relentless motherhood". Here is the website link: https://www.beautythroughimperfection.com/relentless-motherhood/. Thank you.